PORTLAND, Ore. (AP) — A former Oregon first lady will file for bankruptcy protection after accumulating about $125,000 in debts and penalties during a legal battle with The Oregonian/OregonLive newspaper, her lawyer said. Former first lady Cylvia Hayes’ lawyer, Eli Stutsman, said in a court filing Wednesday that she plans to file for bankruptcy this week. Hayes, who was Gov. 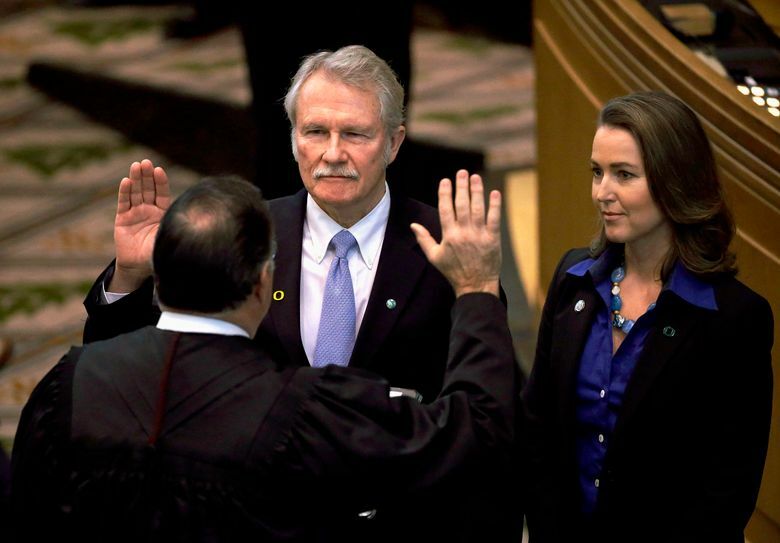 John Kitzhaber’s fiance when he was elected to his third term in 2010, also faces a potential six-figure fine for violating state ethics laws, The Oregonian/OregonLive reported . Hayes and the newspaper got into a legal battle after it submitted a public records request in 2014 for her emails for an investigation into her consulting contracts. At the time, Hayes argued that she was not subject to public records laws. Hayes is expected to drop an appeal challenging the $125,000 she was ordered to pay the newspaper for its legal fees since the bankruptcy could shield her from paying the full legal costs. She was the subject of influence-peddling scandal since her consulting business had increasingly relied on government contracts. In January, Oregon’s ethics watchdog found that she misused her position as first lady and a policy adviser to secure consulting contracts worth more than $200,000. Hayes’ lawyers and the ethics panel are expected to reach a settlement on the fines. It’s still unclear who should pay for the Portland newspaper’s legal fees.